Oh, sweet October. So excited for fall! And, not only that, we have another book birthday to celebrate this week! 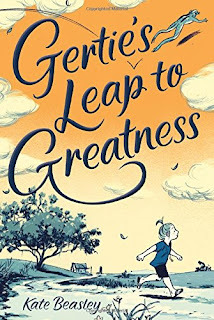 I rather enjoyed Gertie's Leap to Greatness, which comes out today. 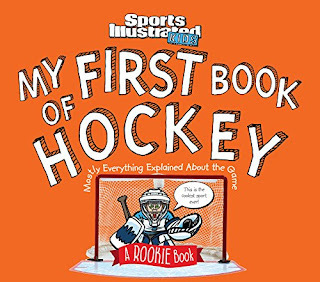 Also, Hockey fans will appreciate this new book from Sports Illustrated to introduce the game to young fans. 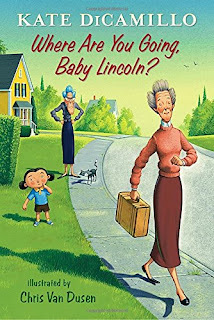 And Kate DiCamillo's newest Tale From Deckawoo Drive did not disappoint! "The puck drops, skates flash, and sticks fly-a hockey game is underway! 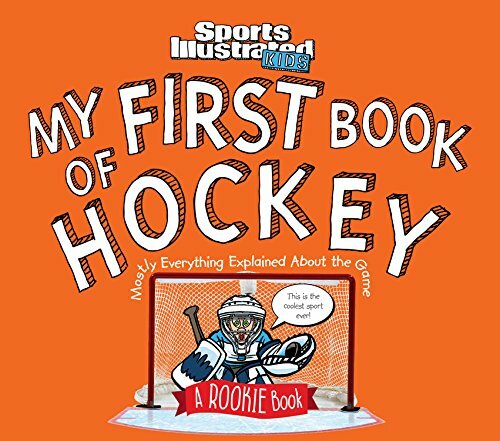 With a fun mix of Sports Illustrated action photography, simple text, a full glossary of terms, and cool graphics, My First Book of Hockey introduces readers to the basics. Kids (and maybe a few adults, too!) will learn how power plays work, how the three-period game flows, what a hat trick is, what's up with the referee's crease, and more." I would be one of those "few adults"—I've never really been one for hockey. So this is, actually, a valuable book. It breaks down the most basic of hockey gameplay and terminology so that even I could understand what's going on. The text is terse, to the point, and straightforward. In combination with the photos of hockey plays and players, there's a lot to learn in this small book. Also, there's a little, cartoonishly-illustrated rookie who interacts with the information and photos on each page; sort of a walkthrough buddy and humor break. He wasn't my favorite addition. Not being a hockey fan, I'm sure I didn't fully appreciate his little humorous asides, but that's just me. I think kids will enjoy him. Overall, the book is a great introduction to hockey. I'm still not a hockey fan, but hey, that's my own problem. "Baby Lincoln’s older sister, Eugenia, is very fond of telling Baby what to do, and Baby usually responds by saying "Yes, Sister." But one day Baby has had enough. She decides to depart on a Necessary Journey, even though she has never gone anywhere without Eugenia telling her what to take and where to go. And in fact Baby doesn’t know where she is headed — only that she was entirely happy in the previous night’s dream, sitting aboard a train with a view of shooting stars. Who might Baby meet as she strikes out on her own, and what could she discover about herself? Will her impulsive adventure take her away from Eugenia for good?" In case you didn't know, the Tales From Deckawoo Drive are a beginning chapter book series that's a spin-off of DiCamillo's early-reader series, Mercy Watson. This is the third book released. Now I share all this just as an FYI, because you don't, in fact, need to have read any of those. That's what's so great about these books! 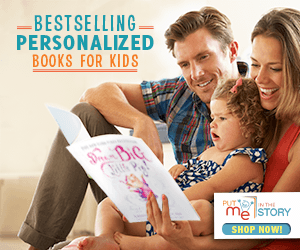 They are, individually, all awesome (see where I reviewed book 1 and book 2). Okay, so on to this book specifically. The story is engaging for all ages, though some of the vocabulary (e.g. "inimitable") and themes may be a bit over the heads of the target audience. Kids will most appreciate Baby's adventure and the friends she makes along the way. I loved it for Baby's journey of self-discovery and DiCamillo's shout-out to her own crime-fighting, superhero squirrel. Van Dusen's illustrations, once again, shine and add just the right amount of charm. Really, the fun story and humor make this book a winner. "Gertie Reece Foy is 100% Not-From-Concentrate awesome. She has a daddy who works on an oil rig, a great-aunt who always finds the lowest prices at the Piggly Wiggly, and two loyal best friends. So when her absent mother decides to move away from their small town, Gertie sets out on her greatest mission yet: becoming the best fifth grader in the universe to show her mother exactly what she'll be leaving behind. There's just one problem: Seat-stealing new girl Mary Sue Spivey wants to be the best fifth grader, too. And there is simply not enough room at the top for the two of them." Genius. It has its serious topics and themes, with a touch of sad, but yet, it doesn't get weighed down like all those other depressing middle-grade novels. The humor shines, the writing lyrical and fun, and the story rocks. Debut author Kate Beasley should definitely write more. Gertie, especially, is a character that I really got behind. 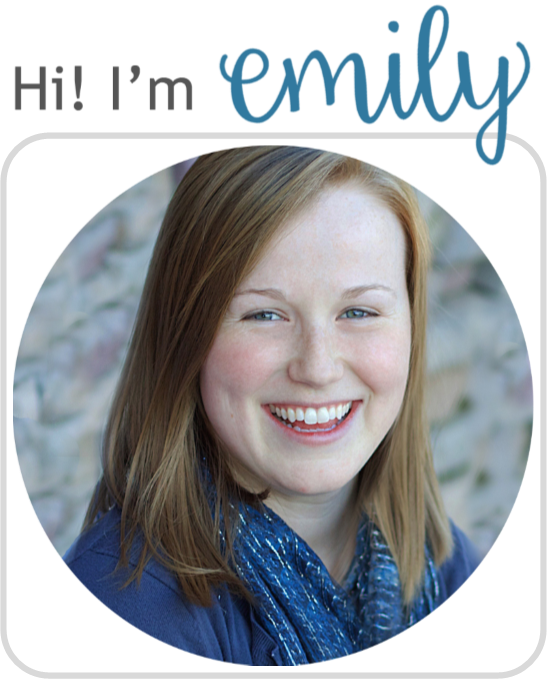 Her spirit is indomitable, despite some cruel situations, which made her easy to cheer on. Yet, there's some depth and hurt that is just hinted at to make her believable and loveable. The ending might have been a bit too terse, but I still love this book. Tamaki, the Caldecott-honor-winner that she is, has just a few strategically placed illustrations that add a nice visual to the story. Overall, a great book that I would love to recommend.